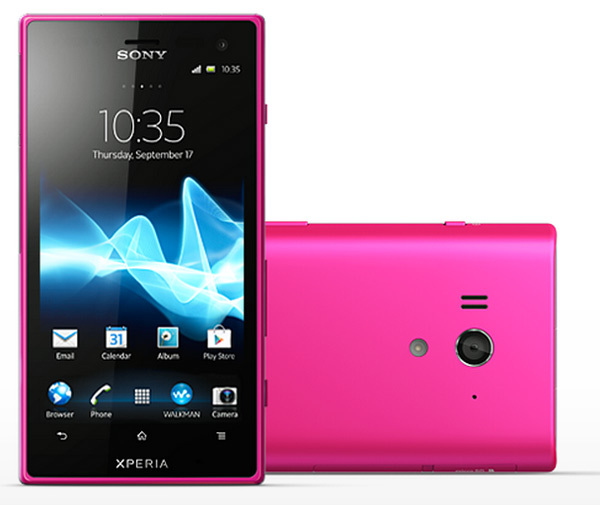 Sony Xperia acro is called S and is one of the new phones that Sony just introduced Mobile. 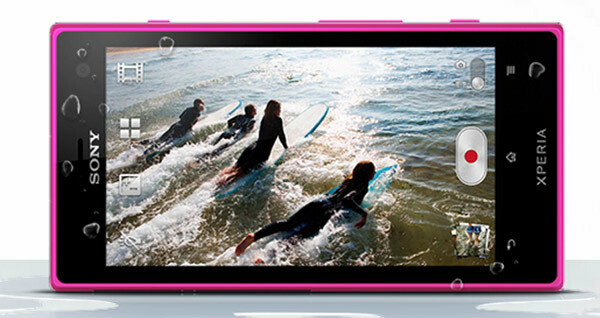 It is a waterproof device, like the Sony Xperia go , although in this case the Sony Xperia acro sheet S sports a much more equipped usual. We say this because in addition to a four-inch multitouch screen and even a camera up to twelve megapixels. As if this were not enough, the phone also comes protected from bumps, scratches, dust and water elements especially harmful to electronics in general. But that's not all, because the terminal will hit the market equipped with the operating system Android in the version 4.0 Ice Cream Sandwich and a dual core processor, powerful and suitable for multimedia content and implementation of advanced applications. The terminal in question will go on sale shortly, although the company Sony Mobile have not yet specified an exact date. We know, moreover, that the Sony Xperia acro S will be available in the Spanish market for customers who are willing to become a major mobile phone and at the same time want to protect each and every one of the parts of the terminal. Here, we offer an in-depth with photos, videos and reviews, as each one of the parts and functions that make up the sheet S Sony Xperia acro. In recent months, the division of Sony Mobile has introduced some new terminals based on the same structure and design. In this case, the Sony Xperia acro S is a phone with a design that looks almost identical, although at first glance you'll see that shows off a little more rounded forms and a look that seems far more ergonomic than usual. In the words of its data sheet, the phone has some measures 126 x 66 x 11.9 millimeters and weighing up to 147 grams, battery included. It's a bit heavier than its little brother, the Sony Xperia go, but it is also true that its actions are far more extensive, especially if we consider that the screen is also bigger. The phone will be presented in three versions: black, white and fuchsia pink, hue much more casual and youthful for those who want to take a different phone pocket. The Sony Xperia acro S incorporates a TFT 4.3 inch multi-touch will allow this phone Sony Mobile equate to large parts currently on the market. And yet very few devices that exceed four inches. The display has a maximum resolution of 1,280 x 720 pixels and a depth of 16 million colors. On the screen, users will enjoy a QWERTY keyboard onto the screen. The panel, on the other hand, technology is equipped with Reality Display with Mobile BRAVIA Engine, normally present in some Sony TVs. The glass in question is equipped with a coating resistant to shock, and scratches, but also water and dust. 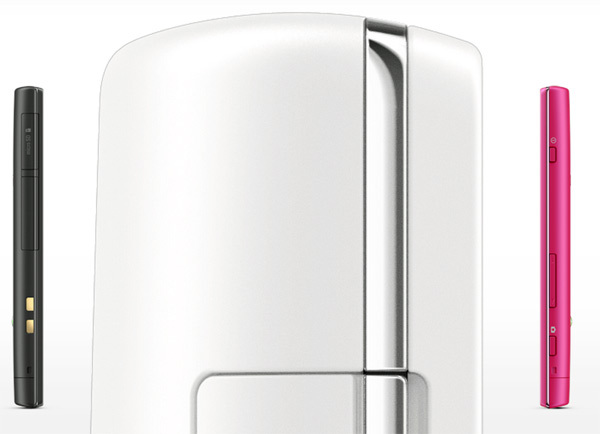 In fact, the user can enter data and perform actions with wet fingers. Here is a potential test of this panel. First things first. 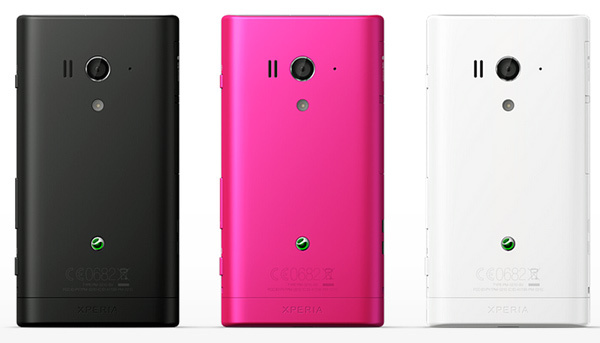 The Sony Xperia acro S operates on GSM GPRS / EDGE 850/900/1800/1900 and UMTS HSPA 900/2100. In fact, the phone is perfectly right for connectivity 3G (HSPA 5.76 Mbps / HSUPA 14.4 Mbps) network and to access Wi-Fi 802.11 b / g / n , which we will come great when connecting to a stable network in our home or office. Wifi Hotspot tool will allow us to enjoy our 3G connection on a tablet or a laptop. You will see that the device also supports DLNA protocol technology with Bluetooth and GPS (aGPS). This allows us to transfer files to other devices and to enjoy the phone like a real dedicated GPS. You can incorporate it into the glove compartment of your vehicle, look for routes and destinations selected to receive orders via voice. The Sony Xperia acro S also has a microSD card slot that will serve to expand the internal memory so you can enjoy a higher capacity, up to 32 GB. As with virtually all smart devices, the Sony Xperia acro S also features a microUSB 2.0 input to connect your phone to your computer (content sync or charge the phone battery) and an output of 3.5 millimeter headphone jack. So enjoy the silence music or your favorite songs in the garden, supported by small speakers. There are many interesting and free options for connectivity. Being a mobile phone with Android, users can connect to services like Google Voice Search, Google Talk with video chat, Google Mail or Google Maps. This last option will be completed with trite tools and valid as Street View and Latitude, ideal for locations when we are lost in the city. The Sony Xperia acro S boasts a 12.1 megapixel camera, which like especially those who usually take pictures with your mobile and lend themselves to turn their attention to quality. The camera also has some interesting additions such as LED flash, autofocus and digital zoom up to 16 increases. You see, on the other hand, you can also record videos in high definition (1080p) and use the 3D panoramic sweep. The second camera, located on the front of the phone has a 1.3 megapixel sensor and is capable of recording 720p content. This camera will allow you to make video calls, so this phone will become a perfect partner if you are someone who often talk to their contacts through these tools. There are many interesting options in the multimedia section. And is that the phone is fully compatible with virtually all audio formats, image and video. For now, we can say that those who have indicated in the specifications of the device are: MP3, 3GPP, MP4, SMF, WAV, and Ogg OTA. When the user is tired of hearing his musical repertoire, will have the opportunity to connect to the FM radio with RDS and enjoy your favorite stations. Besides, Sony has equipped this device (as is usual in the mark) with several features characteristic of a highly equipped media player. We refer, of course, the TrackID music recognition and experience xLoud, a Sony audio filter that improves more than the sound quality coming through the headphones. 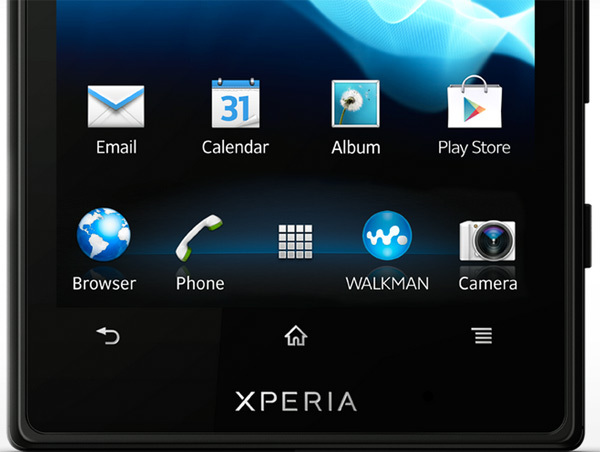 The Sony Xperia has also acro S direct access to entertaintment Sony Network Platform for multimedia download of any kind. The terminal is compatible with Adobe Flash technology and can connect to Timescape with Twitter and Facebook integrated Xperia 2.0. This time, we have to talk a little more advantageous characteristics with respect to memory, the processor or operating system Sony Xperia acro S, when compared to the Sony Xperia go. In this case, the user can have up to 11 GB of internal memory for storing contents of different types: photos, videos, work documents and even applications. If you think this amount of memory is not enough to use that you give, you can zoom through a microSD card of up to 32 GB. Finally, this is another matter, know that the phone has up to 1 GB of RAM. This directly affects the performance of the device, so that together with Qualcomm MSM8260 processor dual-core 1.5 GHz and the GPU Adreno 220 will notice a significant advance over other more basic end terminals. As has become customary in Sony Mobile, the operating system chosen for the occasion, Android , in the version 4.0 or Ice Cream Sandwich , the last to come out on stage and is already present in almost all advanced devices. In this sense, the user will see some interesting advantages over the previous version, although you should be aware of future operating system updates and improvements that Sony will prepare, as usual, as usual. Android handset as well, we shall also access Google Play (formerly Android Market) to download applications (free and paid) and extend, expand or improve the functions of our Sony Xperia acro S. In addition, we will have direct access to key services free Google : Google Search, Gmail , YouTube , Maps , Calendar, Picasa , Driving, Translator, Blogger, News or Google Plus , for example. Some tools come pre-installed and others will have to download a posteriori. On autonomy could talk at length, but the truth is that we have a really sensitive issue. To begin, we say that the Sony Xperia acro S has an internal lithium ion battery for up to 1,910 milliamperes. This is a considerable amount for a terminal of these features, so Sony has dared to propose a standby time of 290 hours and talk time of 6.40 hours. In music playback, the Sony Xperia acro S can reach its potential to extend for 23 hours and video playback, up to 6.30 hours. As you may know, the battery life is often dependent on many variables: the configuration of the phone, the conditions of the connection and the user's own customs. If you are experiencing the search for wireless networks on, if you remain always connected to the Internet (which is quite normal), if you use a lot geolocation functions and GPS or if you play many multimedia content, it is possible that your device's battery lasts a sigh. Unfortunately, manufacturers have yet to integrate into their smartphones the magic formula that can extend as before the battery of mobile phones. What prevents the huge touch screens and functions avanzadísimas now available to our terminals. On autonomy, yet nothing is written. And is that Sony has introduced terminals in Spain (the Sony Xperia Sony Xperia go and acro S), but did not specify exact dates for marketing, nor output prices. We look forward to send you any additional information regarding the price (which has not been indicated) and the conditions for distribution by major carriers in the country.